The second day of AGON, the management fest of IIM Ranchi brought with it many exciting events. The day started off with Cricket Mandi – a one-of-its-kind IPL style bidding competition by Conundrum- the Consulting Club of IIM Ranchi. In this event, the participating teams had to use their knowledge of cricket to strategically bid on the players, in order to select the best 11 players within a limited budget. It turned out to be a nerve-wracking and entertaining competition with very innovative strategies used by the teams in selecting their best teams. The event saw participants from IIM Ranchi, IIM Amritsar, IMI Delhi and VGSOM and teams from IMI Delhi and IIM Ranchi were the champions. Live at the same time as Cricket Mandi was Crack the Case, the flagship event of Sankriya, the Operations Club of IIM Ranchi. It was a live case study competition in which participants were expected to come up with innovative ways to solve the case. 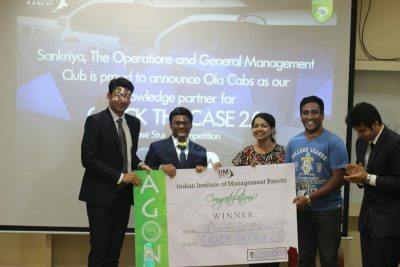 The sponsor of the event was Ola Group and the case was based on OlaCabs. Ms Anu Anupam and Mr Kranthi Kumar from OlaCabs were the judges of the event. Teams from IIT Kanpur, IIM Ranchi, VGSOM IIT Kharagpur, Symbiosis Institute of Operations Management, IIM Sambalpur, XIMB Bhubaneshwar and SIBM Bengaluru participated in the event. Many interesting ideas and intriguing solutions were presented as each team demonstrated their creativity to solve real life business problems. The teams were judged on the basis of innovation as well as feasibility of the solutions. Among the teams that participated, XIMB, Bhubaneshwar emerged as the winner followed by IIM Sambalpur and DIME IIT Kanpur. The winning team, Kshitish Sahoo and Deepayan Pattnaik of XIMB said that they put in lots of hard work for preparing for the event. They took care of all stakeholders involved for solving the case and believed it was the reason they won. Another very interesting event was Maneuver 2.0, conducted by HiRe – The HR club of IIM Ranchi. It saw participation from colleges like IMI Delhi, IIM Raipur and IIM Ranchi. It was a unique recruitment and bidding competition for ideal candidate profiles. In the first round, each team had to bid for different profiles within a limited given budget. In the second round, teams had to present and explain their strategy behind their selection of candidates. Team Torex from IIM Ranchi won the event, with team Starks from IMI Delhi as runners-up. 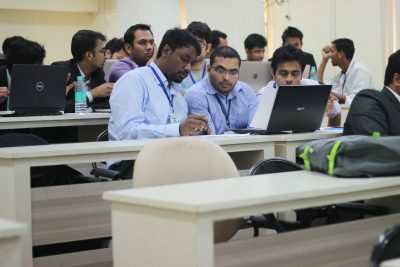 Systematique Entrepreneurship, a startup based case-study competition organised by E-Cell, IIM Ranchi saw extensive participation with teams from IIT Kanpur, IIM Ranchi, NMIMS Mumbai, IIM Kashipur, and KJSOM Mumbai. The participants put forward all their managerial skills in coming out with innovative ideas and eventually after a very close fight, Team Ignitors from IIT Kanpur grabbed the first prize. The event was highly appreciated with many interesting insights and the judges praised the problem solving abilities of the students. Plutus, the flagship event of Finance Club of IIM Ranchi was organized in collaboration with Wiley. It was an event based on valuation and equity research of Pharmaceutical companies in which more than 1000 students from various b-schools had participated. The final round for the event was conducted at IIM Ranchi campus and after a very tough round of questioning by the judges, teams from IIM Ranchi and ISB Mohali were declared winners. Terra Nullius was the flagship debate competition organized by the Literary Club. The event had 32 teams battling it out in four grueling rounds of articulating opinions and rebuttals. Different topics like GST, Universal Adult Franchise and forced democracy, Law on Sexual Harassment were debated upon. It was an enthralling experience for the participants as well as the audience making it difficult for the judges to decide upon the winners. Samarpan, The CSR club of IIM Ranchi organized their case study competition Samadhan 2.0, which was based on a very important issue facing our society today – ‘Solid Waste Management’. After a hard fought round of intense discussions and case presentations, ‘Team Pareshan’ from NMIMS, Mumbai managed to come up as the winners followed by two teams from IIM Ranchi. The competition reflected the social awareness of all the participants and depicted a very important aspect for any manager today – social responsibility. Final Stint was an on-the-spot event conducted by the HR club that thrives on innovation and creativity with an essence of HR. It saw teams come up with creative strategies to utilize the resources available to them in the limited budgets and build high-rise structures. 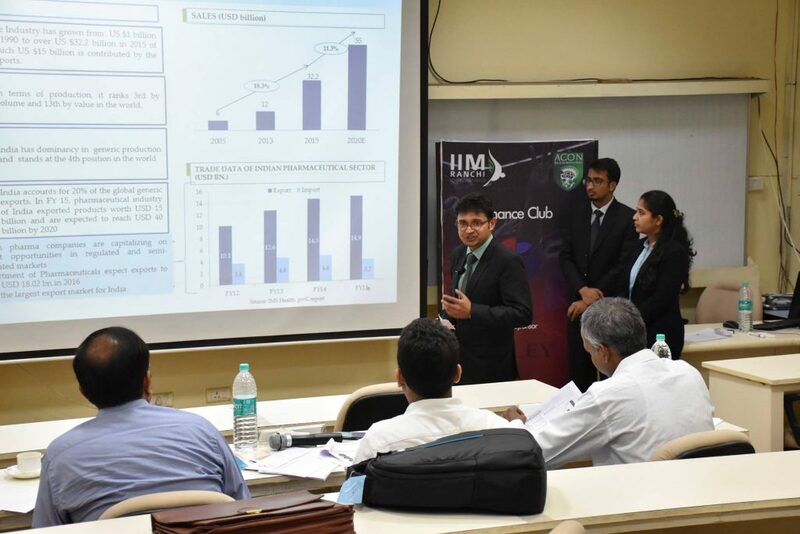 Team Invictus of IIM Ranchi, with the tallest and most stable structures, was announced as winners. 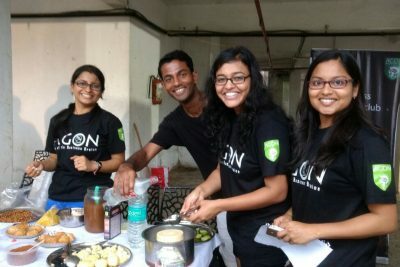 Marquess, the Marketing club of IIM Ranchi organized Agora where teams were given a chance to set up their stalls to sell products to customers. It was a very interesting event where various stalls for Belgian chocolates, Pani Puri, posters and plants were set up and created frenzy among the customers. Through this event, the participants got the opportunity to understand how to interact and negotiate with the customers. Also, they gain an understanding on how to attract customers as each team had to compete to catch the attention of the customers. Teams from IIM Ranchi, IMT Ghaziabad,N L Dalmia Mumbai, NMIMS Mumbai, BIM Trichy participated. Teams from N L Dalmia and IIM Ranchi were declared 1st prize winners. The two-day fest culminated with a much-needed and befitting DJ night at the hostels organized by the Cultural Committee of IIM Ranchi. The DJ night had all the participants and organizers of the fest pouring into the venue after a special dinner to let their hair down and celebrate the success of Agon 2016.